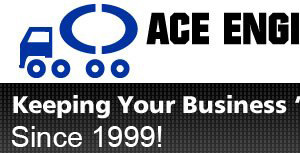 Ace Engineering Inc. is an environmental company located in Miami, Florida. We have been serving South Florida for over 10 years while building a lasting impression in the industry of superior service, efficient technicians and of course our reliable emergency after-hours service. Our service includes pump outs of commercial grease traps for some of the largest and most prestigious restaurants, supermarket chains, coffee shops and bakeries in South Florida. Our technicians are highly trained to anticipate any potential problems saving you time and cutting unnecessary operating expenses. Ace Engineering, Inc. has gone green by collecting used cooking oil and recycling it for by-products such as animal feed, cosmetics and bio-diesel fuel. After time, gunk and grime can slowly build up in your drains. When this happens your sink, shower, bath, and any other drain outlet slowly gets worse and worse until they are eventually clogged. Luckily there are certain services designed to come in and clean out your plumbing system so that you water will flow freely and easily like it should at all times. There are many reasons to look into a South Florida drain cleaning service. Not only to benefit you but the environment as well. Most drain cleaning services are very cost effective as well as beneficial in many ways. Serving South Florida for over 10 years!